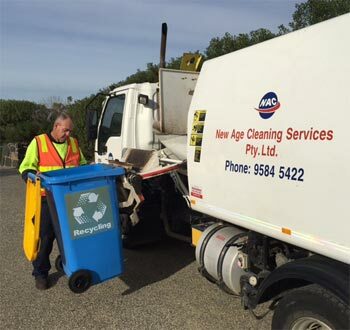 We currently provide cleansing services to numerous Victorian Councils. The collective knowledge and experience of both management and staff provides us with the capability of recognising and understanding required service levels. Successfully providing services both efficiently, at a competitive price and to the satisfaction of Councils and its constituents will maximise recreational opportunities and ensure the health, access, enjoyment and safety of patrons. New Age Cleaning Services has experienced operators with municipal based knowledge. Our operators exercise skill and care during their operations, ensuring that public and private property is protected at all times. All staff (full-time and part-time) are employed under Award conditions, avoiding the need for sub-contractor arrangements. Our experience in urban environments, with highly patronised commercial and tourist precincts (together with popular beach and reserves) enables us to have a thorough understanding of Council requirements and expectations. Andrew Newman is the Director of New Age Cleaning Services and has been involved in the Contract Cleaning business since 1992. Andrew has considerable and extensive experience in the planning, preparation, operation and satisfactory completion of all aspects in regard to Contracts administration. Andrew commenced New Age Cleaning Services 24 years ago and therefore has a thorough understanding of client and general public expectations in all matters relating to Cleansing Contracts. Andrew has developed an excellent working relationship with Council staff and his hands-on approach has contributed to the Company’s on-going success. Andrew has always had a close and harmonious relationship with his staff and this has been rewarded in kind by long and loyal service by many employees. The Contract administration concerns of New Age Cleaning Services Pty Ltd are extremely well organised.